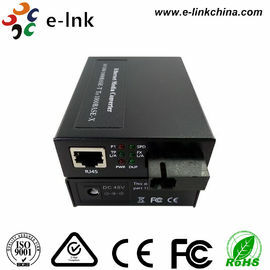 Due to its unique function of link failure alert between electrical port and optical one, the intelligent 10/100/1000M adaptive Gigabit Ethernet media converter can replace the media converter with network management to greatly reduce the system cost. 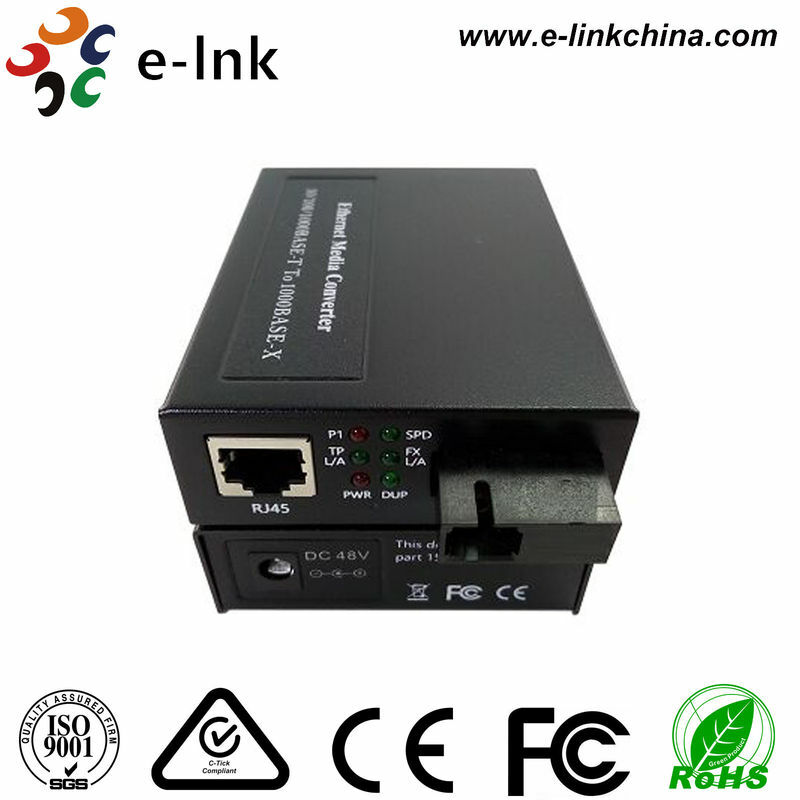 LNK-S3011D Series Ethernet media converter can interconvert electrical signals of 100Base-T and 1000Base–TX twisted pairs with optical signals of 1000Base-FX. 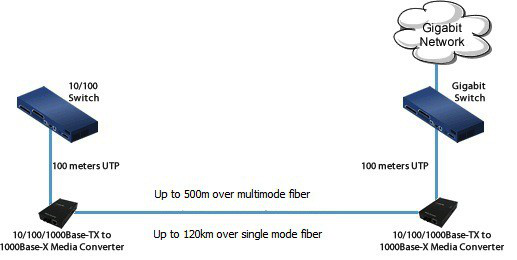 It extends the network transmission distance from 100m via copper cables to 120km via fiber optical cable. It enables the data to transmit in two different mediums of electrical and optical networks either by the technology of data link L2 store-and-forward, or by the one of PHY L1 cut-through). It supports transmission in single mode single fiber.